After completing my third year of med school, I was completely frustrated. Medicine was not what I thought it would be, and my bubble had been burst. I had decided to quit and that it would be better to go home and be a welder like my dad. However, my mother convinced me to go back to school, and by God's grace my first course of study upon returning was dermatology. Not only was it a joyful experience, but I finally found where my God-given gifts could most be utilized. I had found my calling! Robert Calcote, MD, joined Dermatology Specialists of Alabama after more than 25 years of private practice in Jackson, Mississippi, and Auburn, Alabama. 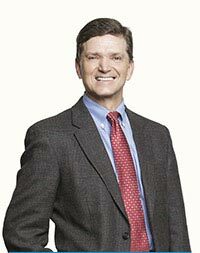 He is an expert in dermatologic surgery, cutaneous laser surgery, and blepharoplasty. He received his medical degree from the University of Mississippi in Jackson, and went on to dermatology residencies at Lloyd Noland Hospital and the Medical College of Wisconsin, where he served as chief resident. Dr. Calcote is a 25-year life member of the American Academy of Dermatology and a member of the Dermatological Societies of Mississippi and Alabama. He has lectured on laser surgery and general dermatology in his role as assistant clinical professor at the University of Mississippi and for the Alabama Dermatological Society, among others.